This is a beautiful photo!! !Good job!!!! 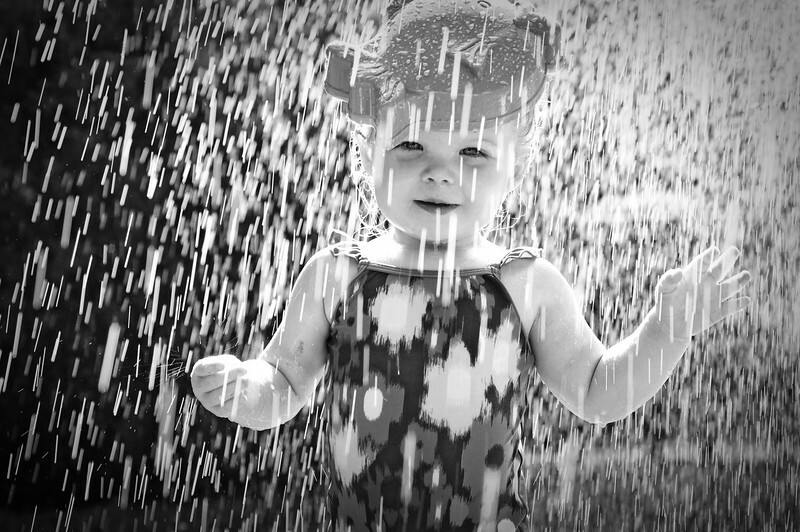 Reminds me of playing in the rain with my dad when I was a little girl. Sprinkler? Awesome!